Saudi Arabia's Foreign Minister backs Trump’s stance on Iran, says new sanctions would be welcome. 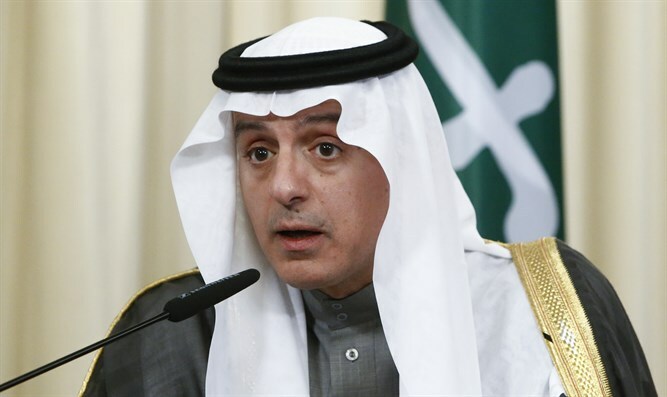 Saudi Arabia's Foreign Minister, Adel al-Jubeir, said on Tuesday his country supports U.S. President Donald Trump’s stance on Iran after he decided not to certify that Tehran is complying with the 2015 nuclear deal. Speaking at a conference in London and quoted by Reuters, Jubeir said the nuclear deal had shortcomings, and that he agreed with Trump’s assessment that Iran was working to destabilize the region and was funding militant organizations. Shiite Iran and Sunni Saudi Arabia have a historic rivalry in the Middle East. Saudi Arabia has repeatedly called on Iran to stop its “meddling” in the affairs of the kingdom's neighbors. “(Iran’s behavior) is not acceptable, and there will be consequences to the Iranians. This is what President Trump has said, and we are very supportive of that,” Jubeir said Tuesday, according to Reuters. He added that new sanctions on Iran would be welcome, and that a delay could mean that by the time sanctions had impact, Iran could have already developed “a dozen” nuclear bombs. “The international community needs to support those (sanctions) in order to send a very strong message to Iran that your behavior, your nefarious activities, have consequences,” Jubeir said. During the negotiations between Iran and world powers, Saudi Arabia and other major Sunni states expressed concern over a deal which would allow Iran to produce nuclear weapons. Saudi King Salman spoke last week with Trump and praised his “visionary new strategy” towards Iran.